A film and book club for avid readers and Deptford cinephiles. Every second Sunday afternoon of the month, we will meet up to watch a film adaptation of a book or a writer’s biopic at Deptford Cinema. After the screening, there will be a discussion around the themes of the film in the bar. 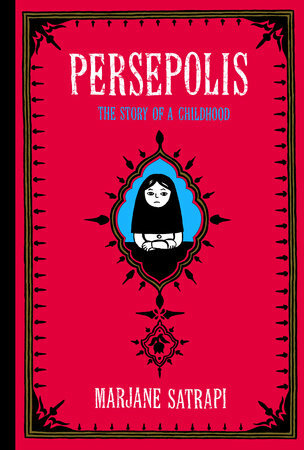 This month we will be reading the graphic novel, Persepolis. Join us for an informal discussion about the book at 7.30pm on Wednesday 6 March at The Dog and Bell, 116 Prince St, London SE8. Persepolis is a bittersweet coming-of-age tale that has the power to provoke audiences to both laughter and tears. Based on the autobiographical novels of Iranian artist, Marjane Satrapi, this animated feature depicts her life as a young girl growing up during the revolution and then under the oppressive state-sanctioned misogynist regime of Islamic 80s and 90s Tehran. The heart-breaking condition of exile becomes a central theme, as experienced by the teen Marjane as she moves to Vienna and tries to integrate into the various social scenes of the West. Marjane is a distinctive voice, a nonconformist, who idolises Iron Maiden and Bruce Lee - a candid and complicated heroine of the page and screen. Under the direction of Satrapi, a team of animators used traditional techniques - hand-drawn pen and ink - and the result is a visual delight. The simple stark line of the animation is adept at conveying poetic moments, subtle interactions and complex emotions of an adolescent in turmoil.